[ Canada; Newfoundland; printed journal ] Journal of the Bishop of Newfoundland's Voyage of Visitation and Discovery on the South and West Coasts of Newfoundland and on the Labrador in the Church Ship 'Hawk' in the Year 1848. [First edition] "Church in the Colonies. No. XXI"m London: For the Society for the Propagation of the Gospel [...] 1849. Pp.-126, 8vo, sewn as issued, probably missing paper wraps, firat and last pages sl. chipped, with (small) corner of first page absent,contents good, text inclusive of title and list of other Church in the Colonies and "Missions" books available from the SPCK. Inscribed on title by former owner, "M.F. Baker | Feb. 4th 1853". Scarce: apparently 3 British Libraries have a copy (WorldCat), no foreign. [ Pamphlet. ] Democracy and the Church, and other Addresses. 'Delivered in Kinnaird Hall, Dundee, January 24th and 31st and February 7th and 14th 1892.' Dundee: Printed by R. S. Barrie, 16 Panmure Street and 73 Murraygate. 1892. 37pp., 12mo. Disbound witthout covers. In good condition, on aged paper. Containing four addresses; 'Democracy and the Church', 'The Christ of the 19th Century', 'An Age of Idolatry' and 'What the Church might be'. 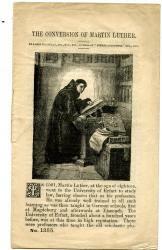 P.3 carries a 'Prefatory Note' by John Willocks and John Ramage, dated from Dundee, February 1892. Scarce. [ Pamphlet. ] The Socialism of Jesus. Glasgow: The Labour Literature Society, Ltd., 105 London Street. 1893. 15pp., 12mo. Disbound without covers. In good condition, on aged paper. 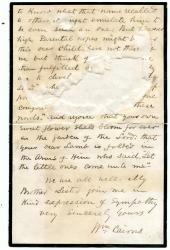 On the reverse of the title (p.2) is a dedicatory poem 'To Cunninghame Graham', beginning 'Perfervid Scot! of hero sires, who calmly spurns the sordid scorn | Of ingrates who proclaim thee mad, [...]'. Scarce. [ Catholic Film Institute, London. ] Hon. Secretary's Report, 1949, and Statement of Accounts for the Year ended 30th June, 1949. Stapled printed pamphlet. 11 + pp., 16mo. In good condition, on lightly aged paper with rusted staples. A page of officers, headed by the Archbishop of Westminster as President, and Rt Rev. Abbot Upson as Vice-President, is followed by Burke's five-page report, and then three pages of balance sheets for the organisation, 'Focus', general funds, 'Penny-a-Day' Fund, and 'Fatima' Fund. No other copy traced, either on OCLC WorldCat or on COPAC. 15pp., 12mo. Disbound and without covers. In good condition, lightly-aged. Now uncommon. 4pp., folio. Paginated 1-4. Unbound bifolium. 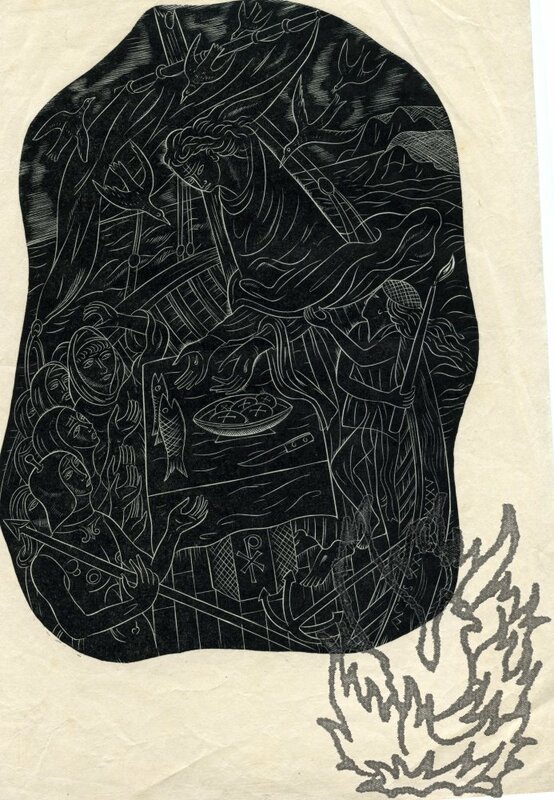 On aged and worn paper, with chipping to extremities and closed tears along folds. Docket title: 'The Yearly-Epistle, 1761.' Marginal subtitles include: 'Theh Salutation', 'State of the Meeting', 'Account of Sufferings', 'Account of fthe Prosperity of Truth' and 'The Conclusion'. Ends: 'Signed in and on Behalf of the Yearly-Meeting, | By William Fry, | Clerk to the Meeting this Year.' No copy in the British Library, and now scarce. [Printed notice (with 'Address') of the formation of 'The Bible Association of St Peter's Church, in Ipswich'.] At a Meeting of Several Friends to the British and Foreign Bible Society, Held at St. Peter's Parsonage, Ipswich, October 5th, 1812. Printed by John King, County Press, Ipswich. 1812. 3pp., 8vo. Bifolium. 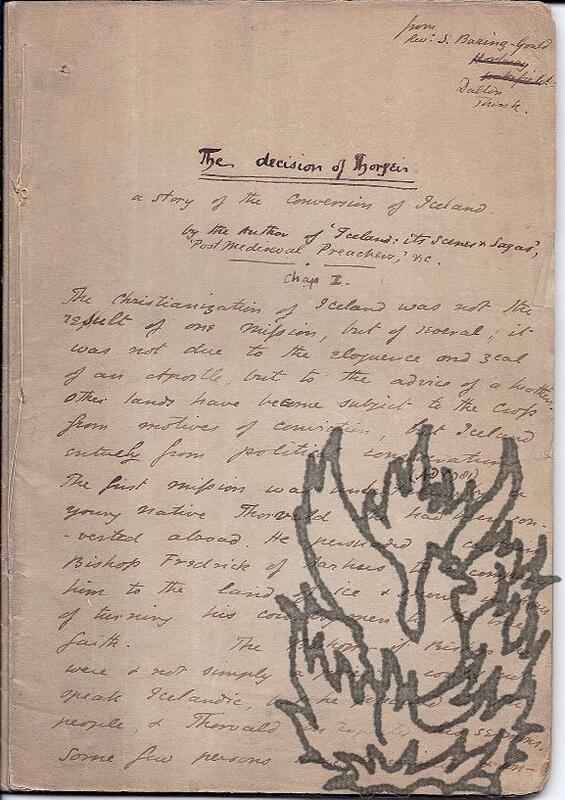 In fair condition, on worn and lightly-aged paper. The first page is headed: 'At a Meeting of Several Friends | to the | British and Foreign Bible Society, | Held at St. Peter's Parsonage, Ipswich, | October 5th, 1812, | The Rev. Edward Griffin, in the Chair, | It was resolved, | [...]'. Eight resolutions in small print follow, covering the whole of the first page. Both letters addressed from 28 Tierney Road, Streatham Hill, London. 18 and 24 July 1891. Both items in good condition, on lightly-aged paper. Both addressed to 'My dear Mr Penton'. 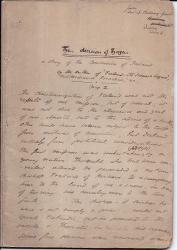 ONE (18 July 1891): 4pp., 8vo. He begins by explaining the American origins of the Reformed Episcopal Church. 'I am not sure that I grasp your meaning as to "whether there is a full Episcopate in England". I may however say that there is an ample supply of Bishops properly consecrated and duly qualified to perpetuate the Episcopate in an orderly manner.' After discussing 'dress' he continues: 'The little Bishop of Selsey is "used". I generally sign Ecclesl. 1p., 4to. 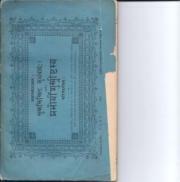 In good condition, on a lightly aged and worn leaf removed from an album. The poem is twenty lines long, arranged in five four-line stanzas. The first stanza reads 'Dear Sister, Christian Heroine! | Stranger to me thy form & voice - | I venerate that zeal of thine, | And while I blush, for thee rejoice'. The second stanza is somewhat heretical: 'Nor Male nor Female is in Him | Who Born of Woman, both hath sav'd: | She conquers every terror grim, - | She thousand deaths for Him has brav'd!' 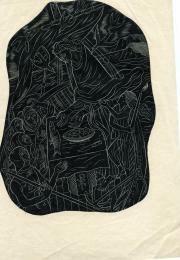 The third stanza begins: '"A woman slew him:" Gideon'ss son'. Autograph Signature of the Victorian philanthropist Catharine Tait, wife of Archibald Campbell Tait, Archbishop of Canterbury. 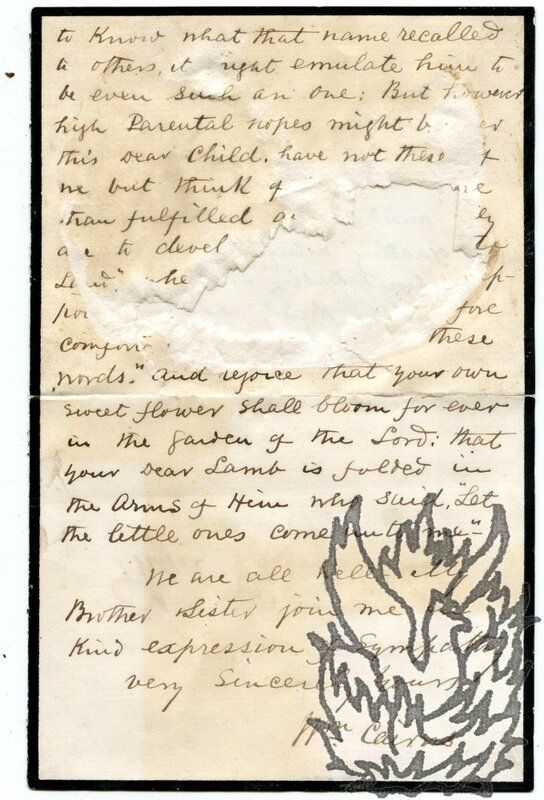 On slip of paper, 2 x 9 cm, cut from a letter for an autograph hunter. In good condition, on lightly-creased paper. Albany [New York]. 13 April 1832. 1p., 4to. Fair, on lightly-aged paper, laid down on the remains of a leaf of grey paper from an album. Sprague has only just received his recipient's letter, 'with its invaluable accompaniment', presuming that it was detained at New York for more than two months. He will send a proper letter in a fortnight; in the meantime he writes 'to introduce to you my worthy and much respected friend Mr Solomon Stoddard of Northampton, a direct descendant of the venerable divine whose name he bears [i.e. 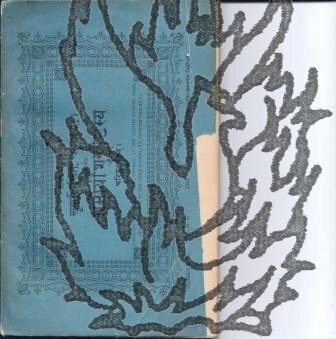 Booklet39pp., 12mo, original printed wraps, front one detached, wraps foxed and chipped at spine, pther minor defects, mainly fair-good, owner's signature on front wrap verso, and some pencil notes within. One copy listed by COPAC, at BL (entry says 150 copies). WorldCat lists Harvard and Yale (and BL) copies only. Scarce. Note: The Editor, Malleson, was first to translate Jules Verne's "Journey to the Centre of the Earth". 4pp., 12mo. Bifolium. Aged and ruckled. Doré's huge painting 'The Triumph of Christianity over Paganism' was first exhibited in the Egyptian Hall in Piccadilly in 1867. pp., obl.8vo, printed blue wraps, worn at spine, loss of strip at edge, some damage to back wrap, contents good. See image on my website, richardfordmanuscripts.com (or request it). COPAC lists only one copy, at BL (who have the Mark and John as well). Notebook, 34pp., 8vo (alternate pages used), first page dulled, minor marking, text clear and complete, in the hand of Sabine Baring-Gould, lightly annotated by B.-G. Words added by B.-G. top right of first page, "from | S. Baring-Gould | [Horbury Wakefiled -excised] | Dalton | Thirsk. And to the title: "by the Author of 'Iceland: its scenes & Sagas', 'Post Mediaeval Preachers,' &c". 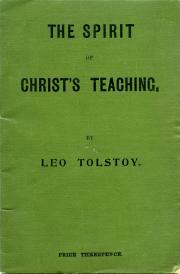 It is divided into three chapters, a B.-G.
1906. Harvey & Son, Printers, Watton, Norfolk. Crisply printed, within a decorative border, and in a number of fonts and point sizes, on one side of a piece of India paper, 33.5 x 42.5 cm. Text clear and complete. In fair condition, creased and lightly-aged. Calendar surrounded by text in small type in a number of columns. To left of calendar is column of eighty-eight 'PREACHERS' NAMES, &c.', including 'exhorter', 'prayer leaders' and 'helpers'. 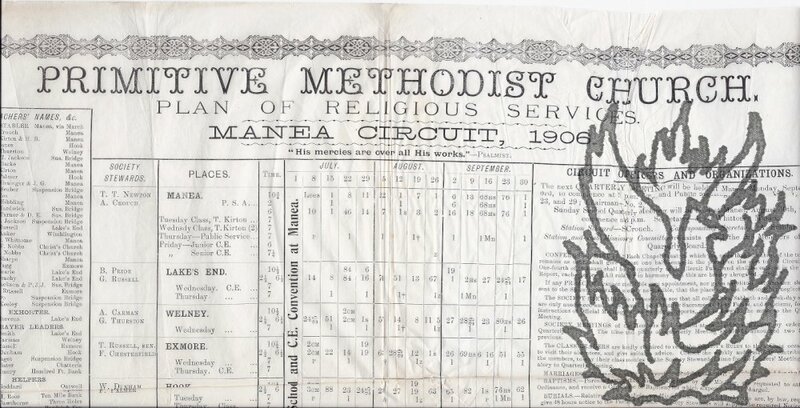 There is also a circuit calendar, an advertisement for the 'Primitive Methodist World', a financial circuit report, and a list of circuit officers and organisations. Thomas Hughes, author of "Tom Brown's Schooldays"
Autograph Note initialled written by Hughes in the space above the beginning of another's letter to him (the reverse mentions a Mrs Morland, suggesting the correspondent is a Mr Morland), slightly grubby and signs of wear,c.6 x 1". An autograph collector has snipped the Hughes note off the letter (rest now lost) and stuck it in an album from which I have removed it. A date has been added in a different hand (1826) and the note runs as follows: "Be good enough to pay £5 for me to the Vaudois or Waldenses, at Hoare's [Bank]. They were the first germ of Protestantism. When were our Gospels Written? An Argument by Constantine Tischendorf. With a Narrative of the Discovery of the Sinaitic Manuscript. 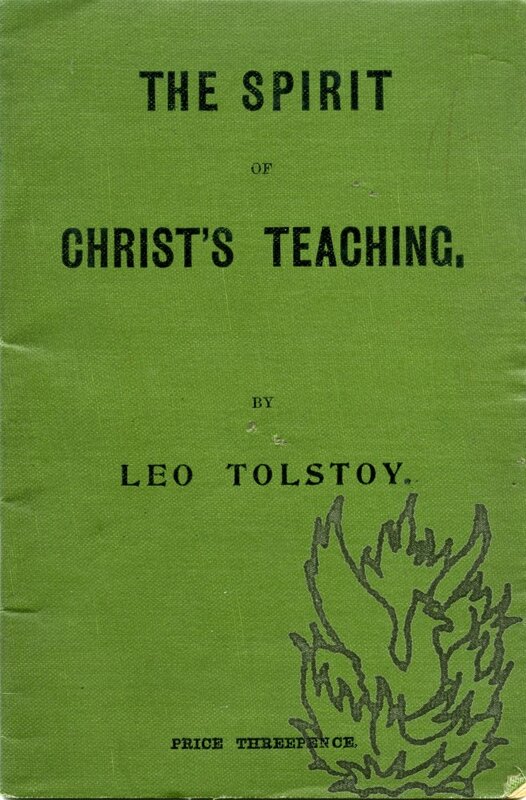 [The Writings of Leo Tolstoy. Edited by V. Tchertkoff. No. 2.] The Spirit of Christ's Teaching. Purleigh, Essex: Free Speech Publishing House. 1899. 12mo: [iv] + 35 pp. In original green cloth printed wraps. Text clear and complete. On aged high-acidity paper, and with four staple holes throughout. Creasing to front wrap and slight loss at head of title (not affecting text). In the 'Editor's Preface' (p.iii, dated 'V. TCHERTKOFF. [c. 1818] London: Printed by G. Brimmer, 15, Water-lane, Fleet-street; and sold by G. and I. Offer, Postern Row, Tower Hill, and J. Higham, 6, Chiswell Street. On one side of a piece of unwatermarked wove paper, 32 x 25 cm. Good, on lightly aged and creased paper. Attractively produced within a decorative border, with the title in gothic script and the text beginning in a single column before splitting into two. Printer's and publishers' details at foot, with advertisement of five works published between 1815 and 1817. 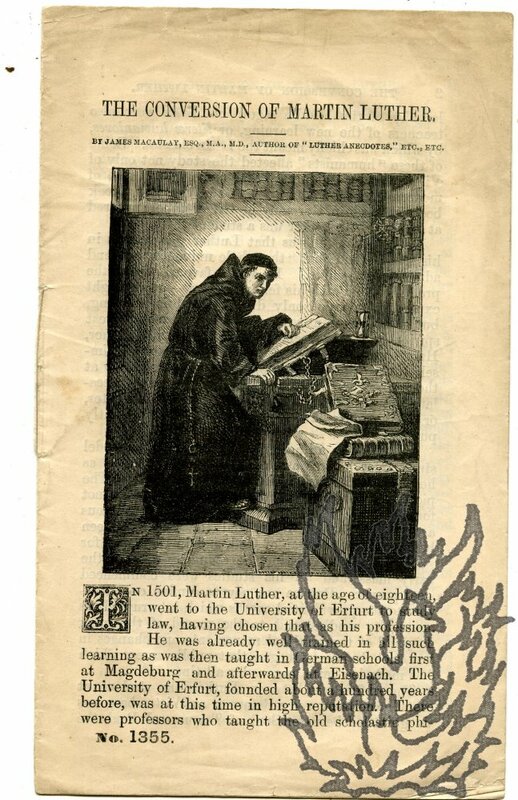 Autograph Letter Signed ('Ad. Tanquerey'), in French, to an unnamed cleric. 25 July 1911; Blainville, Nauche. 12mo: 2 pp. Very good on lightly aged paper. 29 lines of text. He will not fail to make use of his correspondent's comments in a new edition. Discusses the section he is working on at present and proposes to send his correspondent an off print. He has ordered other off prints to be sent, in return for his correspondent's useful remarks. For a couple of months he will be at Blainville, 'sur le bord de la mer, ou je puis mieux travailler qu'a Paris, tout en prenant un peu de repos'. Docketed at foot of reverse, 'Theologian, Sulpicien'.